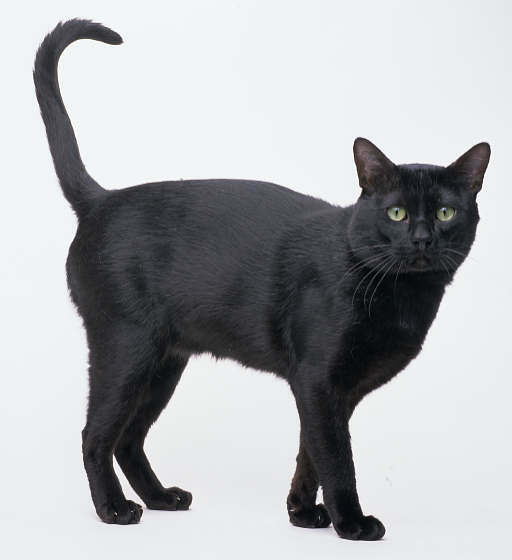 Created to be a mini or parlor panther, the Bombay is a medium sized, stunningly black feline. Similar in body to the Burmese, the Bombay is recognized by its distinctive 'patent leather' coat, brilliant gold or copper eyes, and sweet expression. The breed is a genetic hybrid with characterizations all its own. 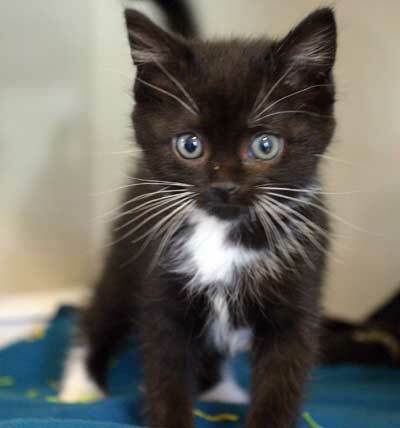 Slowly maturing, kittens are often viewed as extraordinarily ordinary. Their coat does not gain its shocking sheen and their eyes their brilliant color until about four months. The head of the Bombay should be rounded with no sharp angles, creating a full face with a broad developed muzzle that maintains the rounded look. Ears should be medium in size and set well apart on the rounded skull. They should appear alert and tilted forward with slightly rounded tips. The nose should have somewhat of a stop, though no full break and pug or snubbed noses are not desired; a slightly rounded nose tip is preferred. The chin should be firm with a proper bite. Eyes should be set far apart and be brilliant in color ranging from gold to copper. The body is medium sized, with proportional legs and rounded paws. The Bombay is a very outgoing and affectionate animal. 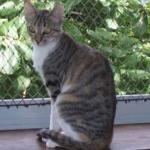 They will greet guests at the door, and entertain owners and guests alike. They enjoy constant attention and can always be found where you are, hoping for attention but not demanding it. 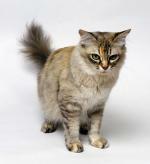 Bombays get along with other pets, including dogs, and have the easy going attitude of the American Shorthair combined with the curiosity and lap loving attitude of the Burmese. 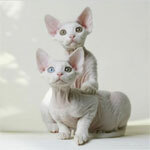 They are not as vocal as the Oriental breeds such as Siamese. The Bombay is a ‘whole family’ cat, feeling they belong to everyone and bonding with all, rather than simply one person and tolerating the rest. The Bombay can be leash trained, enjoys playing fetch, and loves inventing new ways to entertain themselves. Caring for a Bombay is incredibly simple. 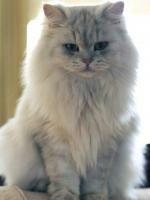 Their coat is short and requires only the occasional brushing to keep it at its highest quality. The history of the Bombay is rather short. 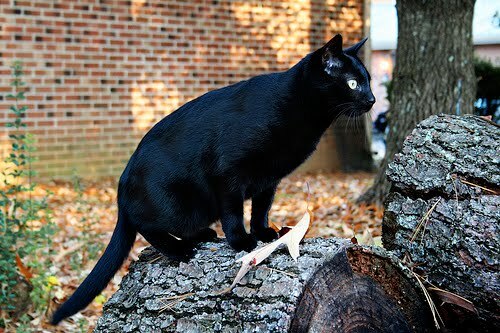 The breed had its start when Mrs. Nikki Horner felt the desire to create a miniature panther. Her first attempt, however, was unsuccessful as it resulted in a kitten that simply appeared to be a poor imitation of the American Shorthair. The next time around, Mrs. Horner was much pickier. Carefully selecting an American Shorthair with deep copper eyes and a Grand Champion Burmese, over generations of inbreeding and outcrossing, Mrs. Horner was rewarded with the beautiful cat she named the Bombay. She had, indeed, created her miniature panther; a medium sized cat with a 'patent leather' coat. 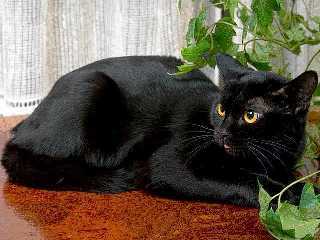 The breed received its name from the location in India, the country where black panthers can be found. 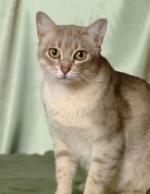 The breed is a hybrid of the American Shorthair and the Burmese, and as such outbreeding to these is still permitted by the CFA. They were accepted into the CFA and received Championship status in 1976.